Licensed under the Creative Commons Attribution-Share Alike 3.0 Unported license. Have you ever wondered why the redrock landscape of Southeastern Utah ebbs and flows, why the exposed layers of sedimentary rock seem to rise and fall in crests and troughs like so many waves across the surface of the sea? 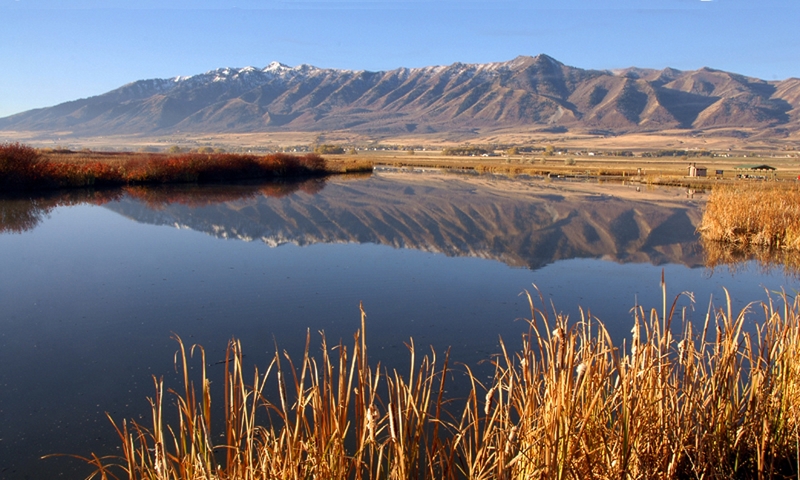 Well, the answer, surprisingly enough, can be found through investigating the ancient seas that once covered vast swathes of Southeast Utah more than 300 million years ago. Back then, the allotment of Earth’s crust that would one day become the Beehive State was located along the western edge of a chain of islands that rose above a shallow, equatorial sea. 15 million years of sea level rise, recession, and evaporation left behind layer upon layer of salt deposits that would eventually measure nearly a mile thick. These salt deposits were subsequently covered and crushed by vast layers of sediment, rock, and debris eroded from the flanks of the Ancestral Rocky Mountains. Under the tremendous weight of these additional layers, the now lithified layers of salty stone softened and squirted west like toothpaste through a tube until they collided with deep tectonic faults. Here, they erupted upward, forcing the younger, denser rock layers into anticlinal arched domes, called diapirs, resembling the crests of waves. 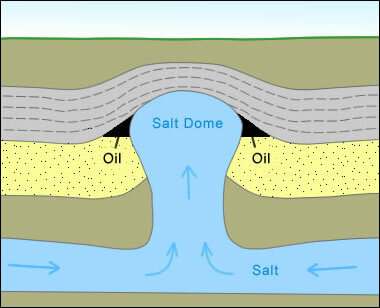 This phenomenon works much like a waterbed across the landscape: heavier rock layers squirting salt into thinner layers of rock that then bulge upward before they are subsequently squashed downward again by even more sediment, rock, and debris. 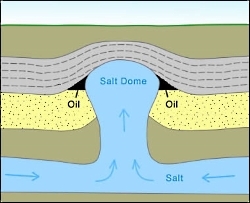 The subterranean movement of salt through rock layers becomes a game of geologic whack-a-mole. I recently visited Dead Horse Point State Park between the town of Moab and Canyonlands National Park. 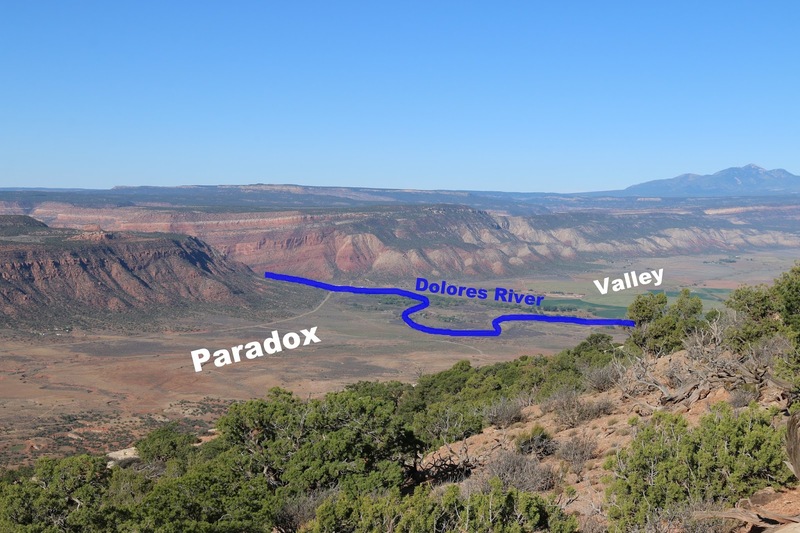 On the eastern edge of the rising mesa on which the park is located, one can look out across millions of years’ worth of sedimentary deposits toward the Cane Creek Anticline, an obvious salt diapir that seems to rise straight out of the Colorado River. 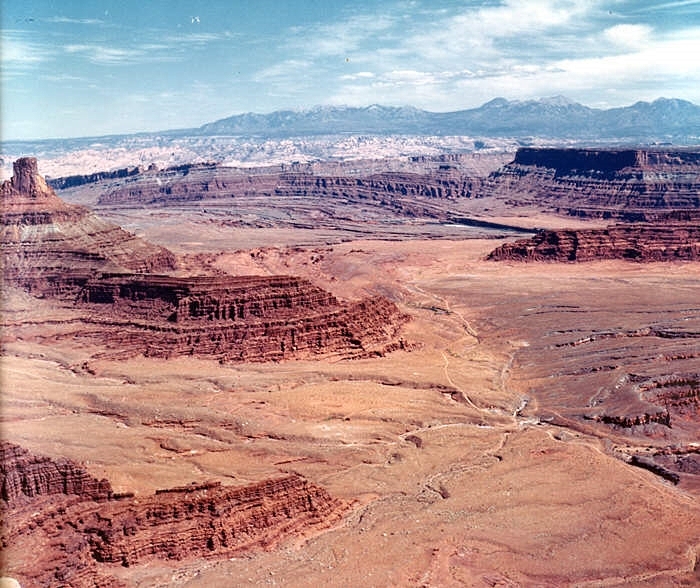 Perhaps the most famous (and most contested) salt diapir in the area, though, is that of Upheaval Dome, located in Canyonlands National Park. An alternative theory to the creation of Upheaval Dome maintains that an ancient meteor impact created the crater where Upheaval Dome is located. However, the fracturing of the younger Wingate Sandstone that occupies the higher rock layers is indicative of a salt diapir formation. Yet, debate rages on! Funnily enough, the discovery of this layer of ancient salt deposits that wreaks so much havoc below the Earth’s surface was made in the collapsed center of an ancient salt diapir. 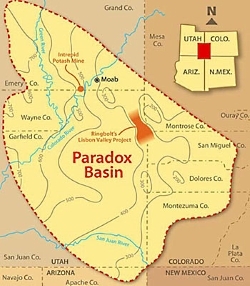 In 1875, geologist and surveyor Albert Charles Peale, at the time yet unaware of the salt tectonics at work beneath the Colorado Plateau, noted the paradoxical course of the Delores River. 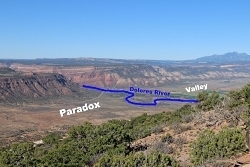 As Peale and his colleagues would find out, the geography of the collapsed salt diapir caused the river to chart a perpendicular course through its valley as opposed to a parallel course as is most often taken by rivers. This paradox of fluvial geomorphology gave the place its name, Paradox Valley. 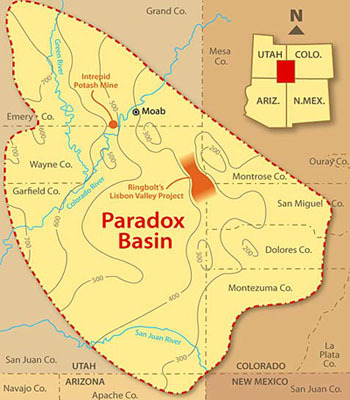 Likewise, the subsequent discovery of an entire basin of ancient salt deposits borrowed the name “Paradox.” Now, we know the salty layer as the Paradox Formation of rocks found throughout the Paradox Basin of the Colorado Plateau. 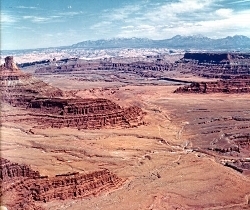 This paradox of fluvial geomorphology can also be found where the Colorado River cuts a perpendicular course across the Spanish Valley of Moab and is indicative of a vast layer of ancient salts below the surface, waiting to further morph the landscape into crests and troughs of rocky waves that ebb and flow across the landscape. The next time you venture into this part of our great state, stop and consider the remnants of ancient seas below your feet that project their image into the surface of the redrock above. 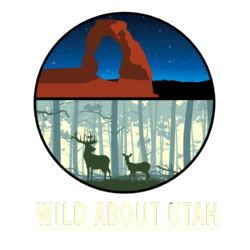 I’m Josh Boling, and I’m Wild About Utah.